Fatima Visionaries; L to R-Jacinta, Lucy, Francisco. “A sea of fire; and plunged in this fire the demons and the souls, as if they were red-hot coals, transparent and black or bronze-colored, with human forms, which floated about in the conflagration, borne by the flames which issued from it with clouds of smoke, falling on all sides as sparks fall in great conflagrations-without weight or equilibrium, among shrieks and groans of sorrow and despair which horrify and cause to shudder with fear. This painting represents the ‘broad road’ that leads to Hell and the ‘narrow road’ to Heaven. Between the two is the chasm of Hell. People falling into Hell. If you follow Jesus you won’t be one of them. “The children were so frightened that they would have died, they felt, if they had not been told they were all going to Heaven. As the three children looked up at Mary she said to them: “You see Hell, where the souls of poor sinners go.” “To save them God wishes to establish in the world the devotion to my Immaculate Heart. If they do what I will tell you, many souls will be saved, and there will be peace. “The war is going to end. But if they do not stop offending God, another and worse one will begin in the reign of Pius X1. When you shall see a night illuminated by an unknown light, know that it is the great sign that God gives you that He is going to punish the world for its crimes by means of…war, of hunger, and of persecution of the Church and of the Holy Father. “To prevent this I come to….ask the Consecration of Russia to my Immaculate Heart and the Communion of reparation on the first Saturdays. If they listen to my requests, RUSSIA will be converted and there will be PEACE. 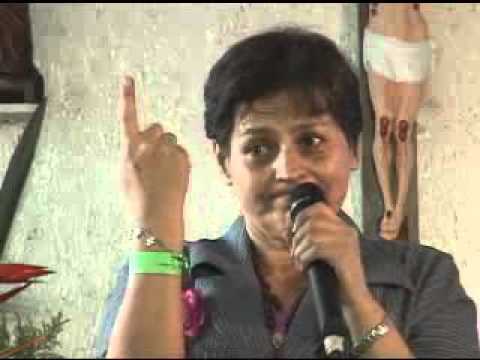 If not she will scatter her errors through the world, provoking wars and persecutions of the Church. The good will be martyrized, the Holy Father will have much to suffer, various nations will be annihilated. To prevent the chastisements of God Mary has asked Lucy for the Consecration of Russia and the Communion of reparation of the first Saturdays. To this day the Consecration of ‘Russia’ specifically, to the Immaculate Heart of Mary, has not been done. The ‘World’ has been consecrated but not ‘Russia’ as Mary has asked. Thus there has been no conversion of Russia and wars have increased and human blood is being shed throughout the world as never before. Also man is sinning and rejecting God as never before. So many have lost the ‘sense of sin’. So there is a drastic need for Pope Francis to do the Consecration of ‘Russia’ as Mary asked. For those who differ with me I say: Russia has ‘not converted’ and there is ‘no peace’ in the world. Both of these are so obvious to see. 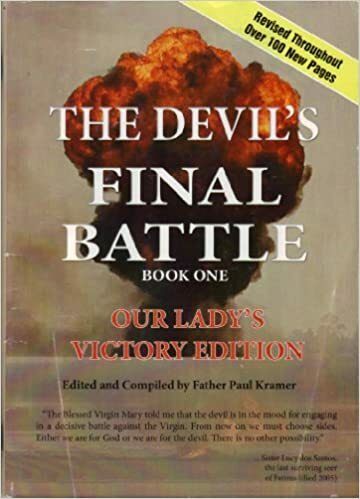 And anyone wishes to read an excellent expose that shows that the Consecration has NOT been done I invite them to read “The Devil’s Final Battle.” By Fr. Paul Kramer. 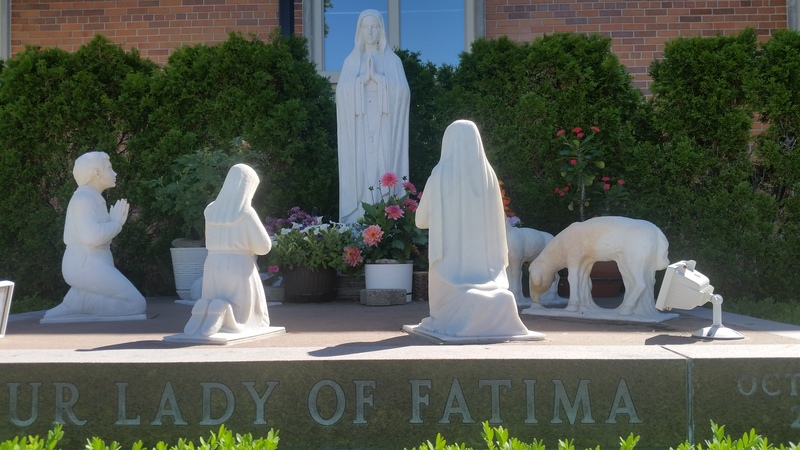 Also you may visit the website http://www.fatima.org/ which has everything on it to support the belief that the consecration of ‘Russia’ has not been done. Now I return to the topic of ‘Hell’. The Catholic Church is supposed to be the Shepherd guiding and protecting its sheep from dangers to their soul. Most shepherds in the Catholic Church have failed miserably in warning Catholics about the ‘Four Last Things’..Death, Judgment, Hell, Heaven. See the following link for excellent exposition on ‘Four Last Things’. http://www.catholictradition.org/Classics/4last- things.htm In the pews we almost never hear a word about Hell. The fact that it is not mentioned does not take away it’s sobering reality after death. By then it is too late. I would like to share with the viewer, the reader about people who were ‘face to face’ with Hell. Fr. 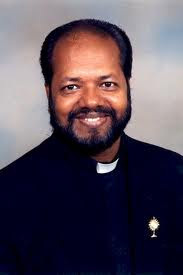 Joseph Manyangat….. a priest who was in a horrible motorcycle accident, died and came back to life. He saw Heaven, Hell and Purgatory. Afterwards he experienced a complete physical healing. Today he has a great healing Ministry. His testimony is here. The Apostle of Divine Mercy St. Maria Faustina Kowalska of the Congregation of the Sisters of Our Lady of Mercy “Today, I was led by an angel to the Chasms of Hell. It is a place of great torture; how awesomely large and extensive it is! The kinds of tortures I saw: The First Torture that constitutes hell is: The loss of God. The Second is: Perpetual remorse of conscience. The Third is That one’s condition will never change. The Fourth is: The fire that will penetrate the soul without destroying it. A terrible suffering since it is a purely spiritual fire, lit by God’s anger. The Fifth Torture is: Continual darkness and a terrible suffocating smell, and despite the darkness, the devils and the souls of the damned see each other and all the evil, both of others and their own. The Sixth Torture is: The constant company of Satan. The Seventh Torture is: Horrible despair, hatred of God, vile words, curses and blasphemies. The Word of God mentions the reality of Hell. Examples…. The Cathechism of the Catholic Church teaches about Hell. We cannot deny the existence and reality of Hell. Is each one of us ‘striving for Heaven’ by living out the Sacraments of the Catholic Church? Are we striving for ‘Holiness’ while we still have life on this earth? Remember, our God is ‘Holy’. The Catholic Church is there to show us the ‘Way’, how to become Holy. Each one of us must thank God that we are not dead yet and live each day as though it was our last while we strive to live a ‘Holy’ life. Time is precious! If you ‘consecrate’ yourself to Mary she will help you in your journey towards Heaven..she will keep you on the ‘straight and narrow road’. You may learn about the Consecration here: http://www.myconsecration.org/ . “Again the kingdom of heaven is like to a net cast into the sea, and gathering together of all kind of fishes. Which, when it was filled, they drew out, and sitting by the shore, they chose out the good into vessels, but the bad they cast forth. So shall it be at the end of the world. The angels shall go out, and shall separate the wicked from among the just. And shall cast them into the furnace of fire: there shall be weeping and gnashing of teeth. Today dear reader is ‘your’ day of decision, for or against Jesus, for Heaven or Hell? 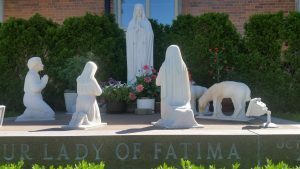 Such is the Message of Fatima: stop offending God, stop sinning, repent and turn to Jesus. We must also earnestly sacrifice and pray the Rosary for Pope Francis to have the courage to consecrate Russia to the Immaculate Heart of Mary. Then Russia will convert and influence the rest of the world to turn to Jesus and avoid going to Hell; and we will have Peace in the world.